RANGE ROVER VELAR SVAUTOBIOGRAPHY: DYNAMIC EDITION! 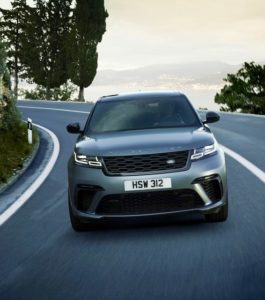 Latest Velar SVAutobiography showcases high-zoot supercharged horsepower & heritage plus stunning styling. It’s truly dynamic. 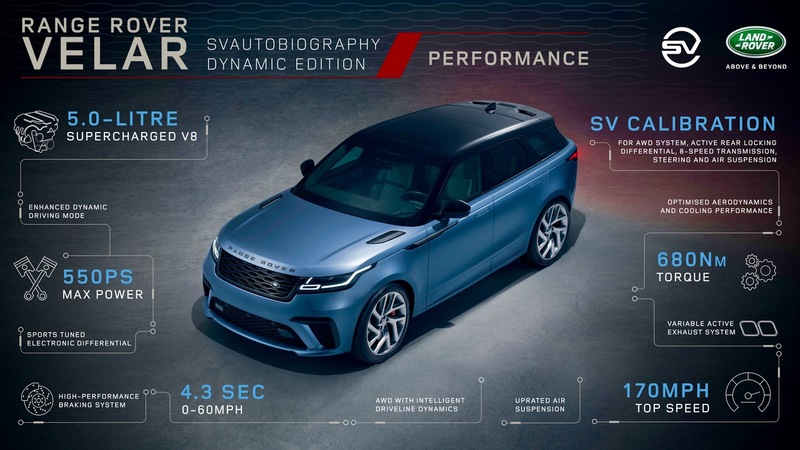 Designed as the pinnacle of the lineup, Range Rover’s Velar SVAutobiography Dynamic Edition has been developed by Land Rover Special Vehicle Operations (SVO). A supercharged 550 horsepower 5.0-litre V8 engine powers it, and it boasts a range of unique design enhancements. The new model will make its North American debut at the New York International Automobile Show next month. Velar was named World Car Design of the Year at the 2018 World Car Awards and is the second model in the Range Rover family to wear the coveted badge. 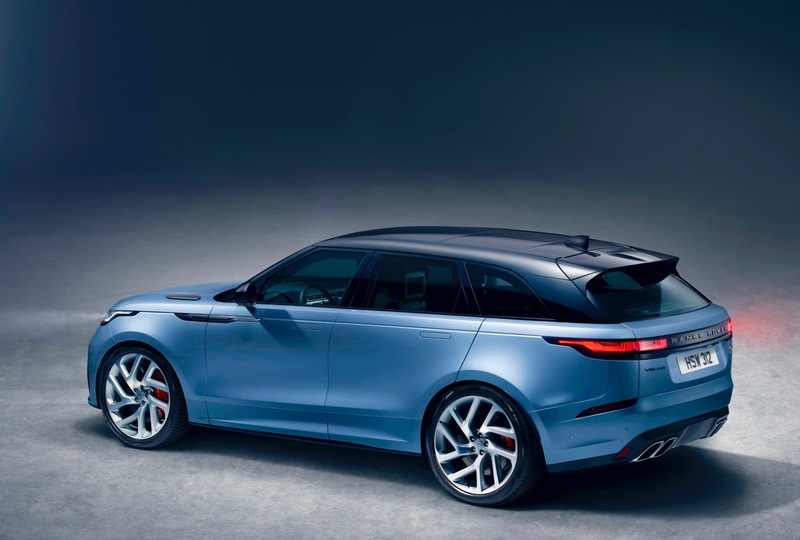 With a supercharged V8 engine, the most powerful Velar accelerates from 0 to 60mph in 4.3 seconds and is capable of 170 mph, while cosseting customers with traditional Range Rover refinement and comfort. Uprated brakes and suspension components, plus bespoke settings for everything from the powertrain to the safety systems, ensure the SVAutobiography Dynamic Edition mixes the personality of a performance car with the go-anywhere capability of a luxury mid-size SUV.